Given the current scenario, the camel (Camelus dromedaries), the State Animal of Rajasthan, may soon figure in the IUCN Red List as a critically endangered species. 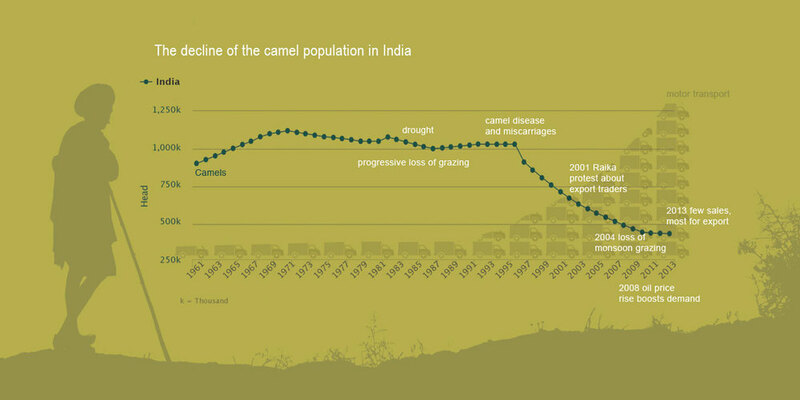 The 19th Livestock Census of 2012 had registered a sharp decline in camel population in comparison with the 2007 census. According to the census, the population of camels in the state had fallen from 4,21,836 in 2007 to 3,25,713 in 2012, registering a drop of 22.79%. Camels of this breed are mostly found in East-Rajasthan. 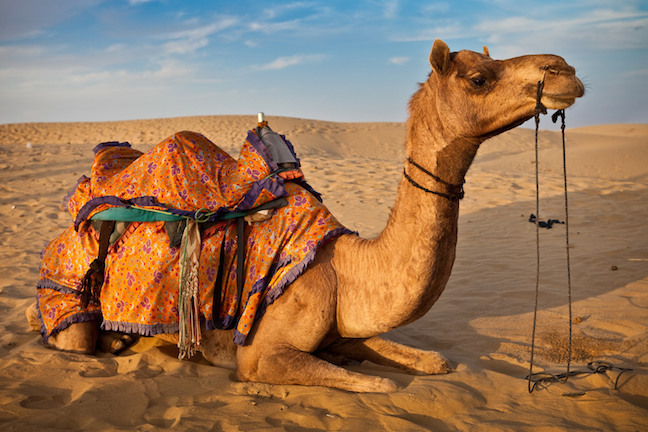 Camel trading is common in Bengal, Bihar and UP. Animals taken from Rajasthan are sold in the markets of Itahar, Chanchal, Harishchandrapur, Ratua in West Bengal and some other areas. There is a huge demand for camel meat in Bangladesh as well. The most commonly found disease in camels, trypanosomiasis, which leads to still birth and dystokia. Other reasons for the dwindling camel population are rampant morbidity and mortality. Distorted male-female ratio of camels. Ecosystem disruptions along with climate change – decrease in grazing and pasture land. Declaration of Camel as State animal of Rajasthan. 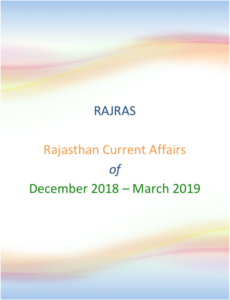 The Rajasthan Camel (Prohibition of Slaughter and Regulation of Temporary Migration or Export) Act, 2015 to prevent illegal smuggling & trading of camels. 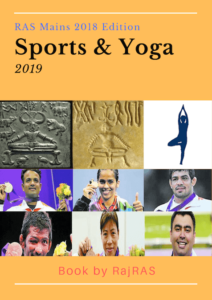 As per the act, illegal transportation of camels, without the permission from a competent authority, is a punishable crime with rigorous imprisonment of between six months and three years and attracts a fine of Rs 5,000 to 25,000. A dedicated National Research Centre on Camel (NRCC), has been started in Jorbeer, Bikaner. On 2 October 2016, the Rajasthan state government announced Ushtra Vikas Yojana, an innovative new Camel Development Scheme. Government of Rajasthan will support camel breeders with a subsidy of INR 10,000 (payable over a period of eighteen months) for each camel calf born, along with other measures which include training centres, improved access to veterinary treatment and research on camel products. On 2 December 2016, the Indian government made the long-awaited announcement of FSSAI standards for camel milk, resolving an issue which has held back camel dairy development in India for years.